ROCKFORD —(ENEWSPF)–March 1, 2017. A Rockford man pleaded guilty today in federal court before U.S. District Judge Frederick J. Kapala to bank robbery, robbery affecting interstate commerce and a related firearm charge. 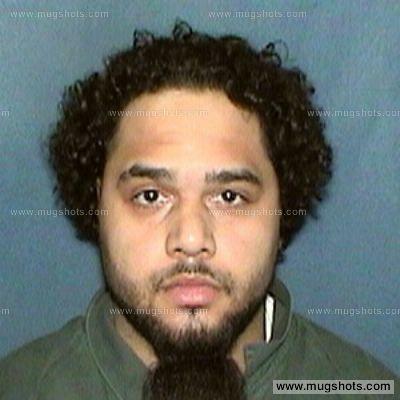 DAVID J. SANDERS, 33, pleaded guilty to the robbery of BMO Harris Bank, 1480 S. Alpine Rd., Rockford, on May 31, 2016, and the robbery of Rockford Coin and Stamps, 4402 Center Terr., Rockford, on June 11, 2016, and to using and carrying a Remington pistol-grip shotgun in furtherance f the coin store robbery. Sanders, who has been in custody since his arrest on June 14, 2016, is scheduled to be sentenced on June 27, 2017, at 2:30 p.m., before Judge Kapala. The guilty plea was announced by Zachary T. Fardon, United States Attorney for the Northern District of Illinois; Michael J. Anderson, Special Agent-in-Charge of the Chicago Office of Federal Bureau of Investigation; and Dan O’Shea, Chief of the Rockford Police Department. The investigation was conducted under the auspices of the FBI Safe Streets Task Force, which includes representatives from the FBI; U.S. Bureau of Alcohol, Tobacco, Firearms and Explosives; Loves Park Police Department; Winnebago County Sheriff’s Department; and Rockford Police Department. According to a written plea agreement, on May 31, 2016, Sanders attempted to rob a different BMO Harris Bank branch, located at 2510 South Alpine Rd. in Rockford. Sanders approached the branch manager and pulled a note out of his pocket that stated he had a gun and demanded money. However, when a bank employee came out of an employee door into the lobby, Sanders took the note and walked out of the bank. A short time later, Sanders entered the BMO Harris Bank at 1480 S. Alpine, approached the teller counter and was greeted by the bank manager. Sanders handed the bank manager a note that stated, “I have a gun give me 1000.” The bank manager said she could not give Sanders money, and when she attempted to keep the note, Sanders took it away from the manager and said, “I want $1,000.” The manager opened the teller drawer and gave Sanders $2,260. Sanders then left the bank. Sanders further admitted in the plea agreement that on June 11, 2016, he entered the coin store, walked behind the display counter and obtained a Remington pistol-grip shotgun – with five live shells attached to the side of it – that belonged to the store. Sanders admitted that while holding the shotgun he demanded money from an employee. An employee gave Sanders approximately $500. Sanders then fled with the money and the shotgun. Each count of bank robbery and robbery affecting interstate commerce carries a maximum sentence of up to 20 years in prison and a fine of up to $250,000 or twice the gross gain or gross loss resulting from that offense, whichever is greater, plus full restitution. The charge of using and carrying a firearm in furtherance of a crime of violence carries a mandatory minimum sentence of five years, a maximum sentence of up to life imprisonment, and a fine of up to $250,000. The sentence imposed for this charge must be consecutive to any other sentence imposed. The Court must impose a reasonable sentence under federal sentencing statutes and the advisory United States Sentencing Guidelines. The government is represented by Assistant U.S. Attorney Joseph C. Pedersen.